‘Tis the season for whacking up some lovely bunnies and hunting down Easter eggs! And a jolly good way to do that is to whip out your Android and unwrap the happy Easter surprises these games have in store for you. First off, join Homer and family in The Simpsons: Tapped Out as they bring out their bunny stunners to whack some eggs out of those rabbits. Collect the eggs and exchange them for cool Easter boxes. Plus go on a quest to discover the mystery behind the bunny eggs, all of course, in the inimitable style of the Simpsons. 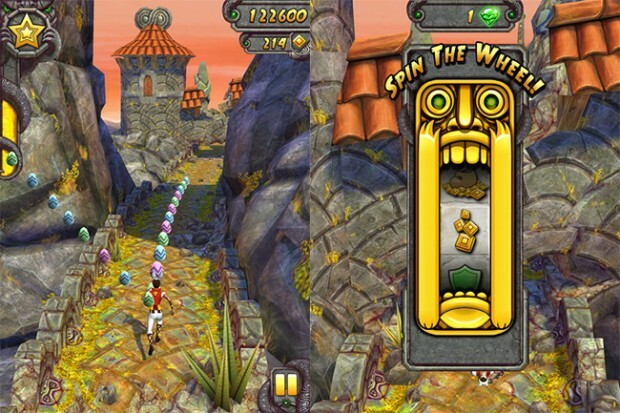 Temple Run 2 joins in the festivities and this time you can unlock aerodynamic bunny ears when you collect five Easter artifacts. You can also win cool bonuses every time you use the Save Me feature in Wheel of Resurrection. The piggies are at it again in the Angry Birds Friends. They have disguised themselves as Easter bunnies and stolen all the Easter eggs. Its time to get back the eggs by challenging your friends in the Easter tournament. Games Insight is throwing an Easter celebration on many of their popular games such as 2020: My Country, Airport City, and Paradise Island. There are in-game quests, special events, Easter buildings, rare collectible items, Easter decorations, and even a cameo appearance from the Easter Bunny. All-in-all, a modest but cool set of seasonal updates for Android gamers. [Review] D’oh! Help Homer Rebuild Springfield!